From the blockbuster New York Times best-selling author of Look Again comes a novel that makes you question the nature of evil: is it born in us or is it bred? Bennie Rosato looks exactly like her identical twin, Alice Connolly, but the darkness in Alice’s soul makes them two very different women. Or at least that’s what Bennie believes, until she finds herself buried alive at the hands of her twin. Meanwhile, Alice takes over Bennie’s life, impersonating her at work and even seducing her boyfriend in order to escape the deadly mess she has made of her own life. But Alice underestimates Bennie and the evil she has unleashed in her twin’s psyche, as well as Bennie’s determination to stay alive long enough to exact revenge. Bennie must face the twisted truth that she is more like her sister Alice than she could have ever imagined, and by the novel’s shocking conclusion, Bennie finds herself engaged in a war she cannot win—with herself. I found this book to be pretty average in terms of storyline, character development and overall interest. The twin aspect gave the story a bit more depth. But it was just an okay listen in my opinion. The narrator was not consistent, especially when she was attempting to do an accent, and that was annoying and detracted further, sad to say. My biggest frustration was sound quality. I've not had this with Audible in the past so I'm thinking it was the reading and not Audible. There was dead time and skipped words and some long pauses. What's up with that? I'm used to Barbara Rosenblatt and although Jennifer was fine as far as voice quality and narration, I missed Barbara. I won't make this long. The characters are caricatures. The situations pedestrian and contrived. I neither liked nor empathized with anyone and had to stop listening. After listening to the Nearest Exit, this was fast food without taste. I am ususally a big Scottoline fan, but this book was a disappointment compared to her earlier novels. There was no real character development and the story was linear and predictable. The story felt rushed; few chapters were over four minutes long. I found the narration to be particularly annoying. It was very staccato with strange word emphasis and odd pauses mid sentence. Accents and voices were weak and inconsistent. I am usually a big Scottoline fan, but this book was such a disappointment. The premise was good, but the execution was one dimensional and harried. Flat is the best way to describe it. Also, the narrator was uninspired, with no inflection or difference between characters. Book VERY disappointing! Could not finish it. Actions of the primary characters were not believable. Tried to keep going, but could not do it! Barely made it half way. 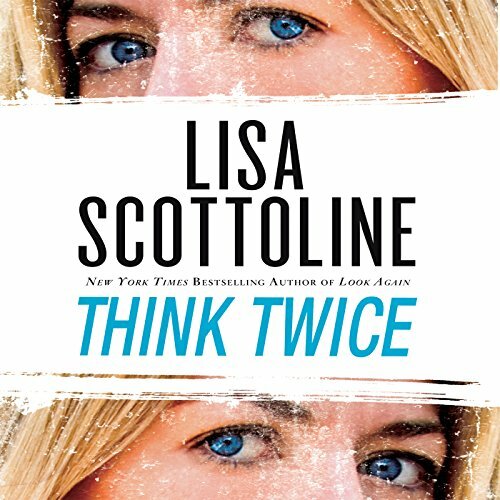 If you like Lisa Scottoline, you will like her latest book. Full of action, twists, and turns. And humor. Great job, Lisa. Story starts out strong but after the restaurant scene at Roux’s, the story turned absurd. Very disappointed. Having grown up in a small Italian town in Pennsylvania I have always enjoyed the Rosato Dinunzio series of books as much ch for the Italian American banter as for the story itself. All of the earlier books in this series had excellent readers that enhanced the story. Unfortunately this audible book had a different reader that, for me at least, detracted from the overall experience. I cannot say for sure how much of my dislike came from the reading alone or if the story itself was not the author’s usual quality. I would recommend reading it in print rather than listening to this version.